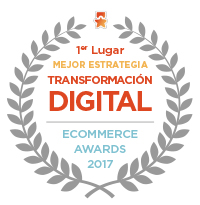 For all airports that don´t permit online check-in, you can buy your checked baggage with the online price by calling our customer service line or at the airport with your ticket receipt. To make all Iberia Express flights comfortable and safe, checked baggage is subject to certain restrictions. Remember that only the Express pack does not include checked luggage. You can add a suitcase to your booking at the airport or online with exclusive discounts in the purchasing process, accessing your booking or checking-in online during the 24 hours before your flight. 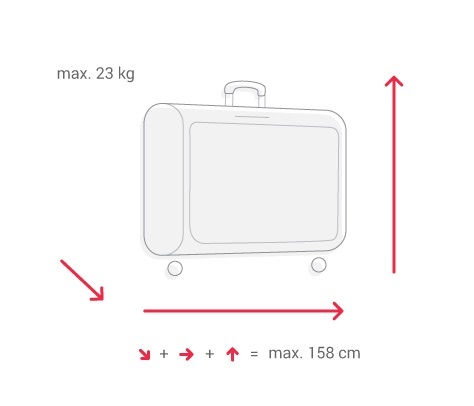 Size (standard): The length+height+width of each piece may not exceed 158 cm, including handles, pockets and wheels (except for special baggage items permitted). Weight (standard): 23 kg limit per piece before incurring additional costs. For bags weighing between 24 kg and 32 kg, an excess weight fee will apply. Iberia Express trips (origin to final destination) entailing connecting flights will be treated as direct flights for the purposes of calculating baggage fees. However, if each leg was purchased as a separate ticket, the fee will be applied to each leg/ticket. Iberia Plus Silver, Gold, Platinum and Singular cardholders may check one bag (up to 23 kg) in addition to their fare package allowance, free of charge. Also applicable to oneworld Emerald cardholders and American Airlines/British Airways Sapphire members. For tickets issued with a resident's discount on the Express fair the first piece of checked luggage will be charged at 75% of the normal price. You can acquire this in the purchasing process, accessing your booking or checking-in online during the 24 hours before the departure of your flight. Certain individual items weighing between 32 kg and 45 kg, including musical instruments, TV cameras, commercial parts, etc., will be allowed as checked luggage. These items will be considered special or oversized baggage and will be subject to an additional fee of €150. Find out more in the section on special baggage. If you wish to take special sporting equipment exceeding the size and weight limits, consult the section on special baggage. Children travelling on a Child ticket (2-11 years) or an Infant ticket (under 2, travelling with an adult) have the same baggage allowance as an adult passenger. One collapsible pushchair (stroller) per child is also allowed under these tickets. If you need to take more bags than included in your fare package or special status, you may pay the additional baggage fee at the airport or pay in advance (with a 50% discount) when you check in online 24 hours prior to your departure. If any of your bags exceeds the maximum dimensions or maximum weight allowed, an excess weight fee of €60 will be charged. Therefore, if you need to take additional weight, we recommend paying for an additional bag when you check in online, applying exclusive discounts. It is not possible to purchase additional luggage online for flights to London T5. In such cases, this can be purchased at the airport, and the baggage policy of British Airways shall apply.